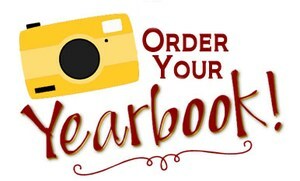 Yearbooks are currently on sale for $25. The cover was revealed on the bulletin board last week. Its going to be awesome!! Any staff or student that purchases a yearbook in the month of February gets to submit an appropriate selfie to go in the yearbook. This was really popular last year. Yearbook cost goes up March 23rd to $30. Save some money and purchase them now!